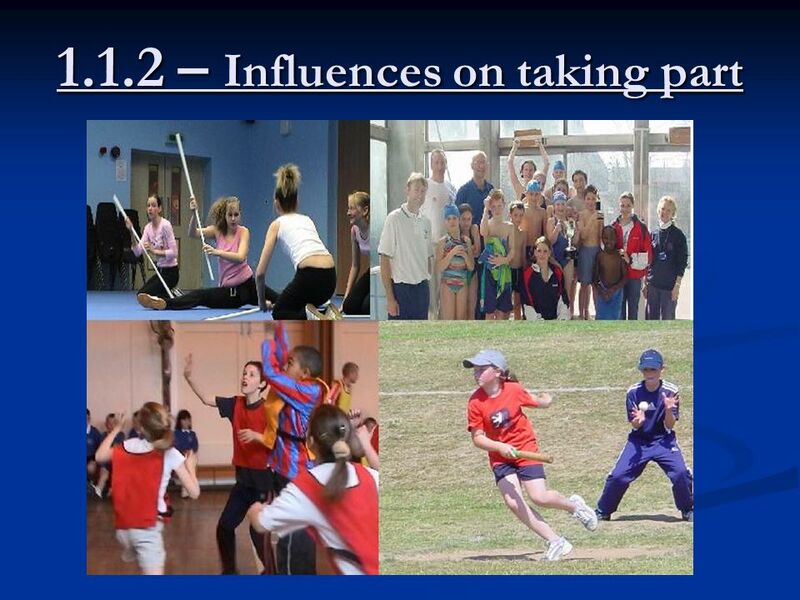 1.1.2 – Influences on taking part. 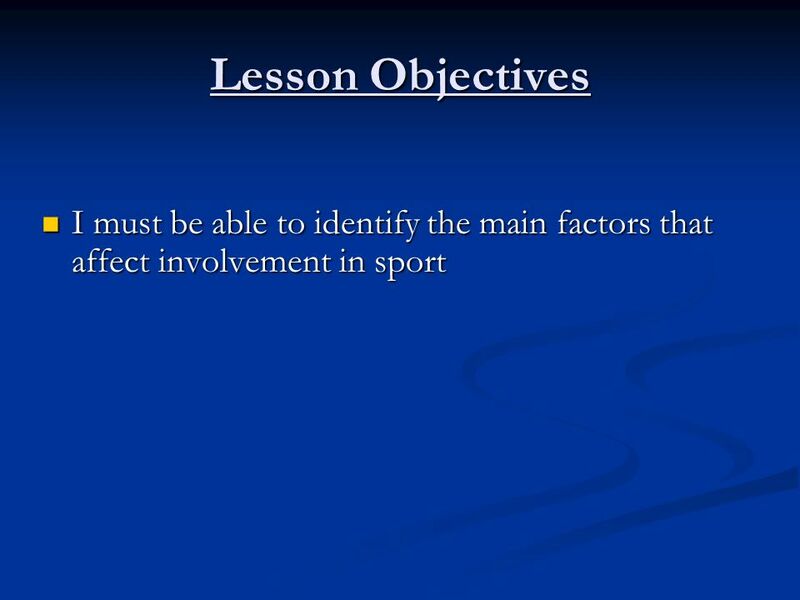 Lesson Objectives I must be able to identify the main factors that affect involvement in sport I must be able to identify. 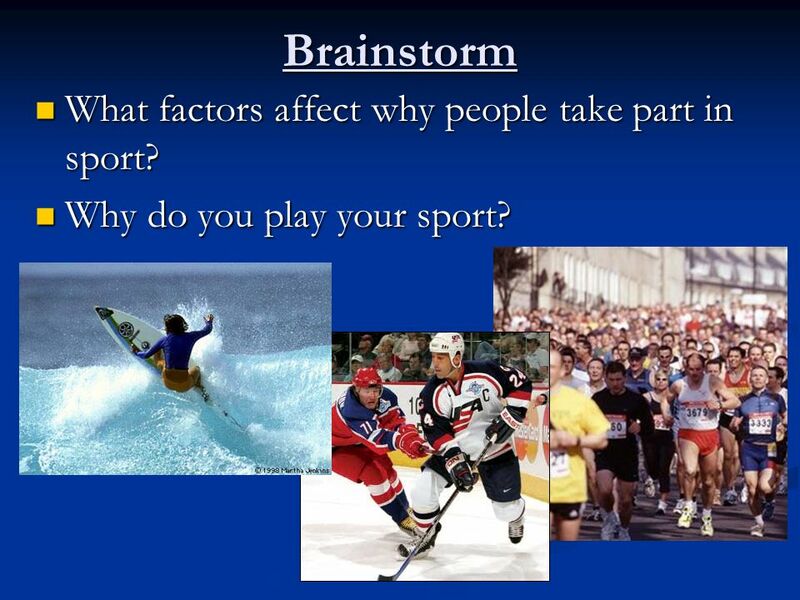 3 Brainstorm What factors affect why people take part in sport? 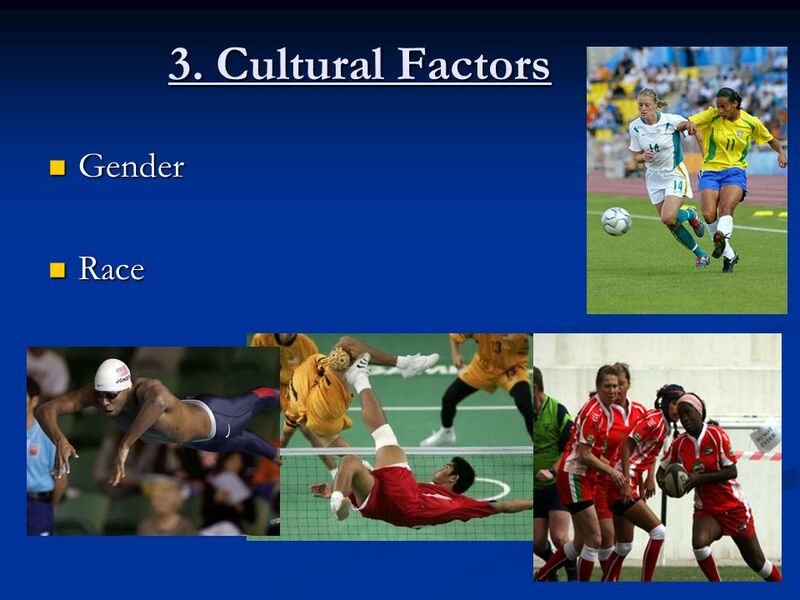 What factors affect why people take part in sport? Why do you play your sport? Why do you play your sport? 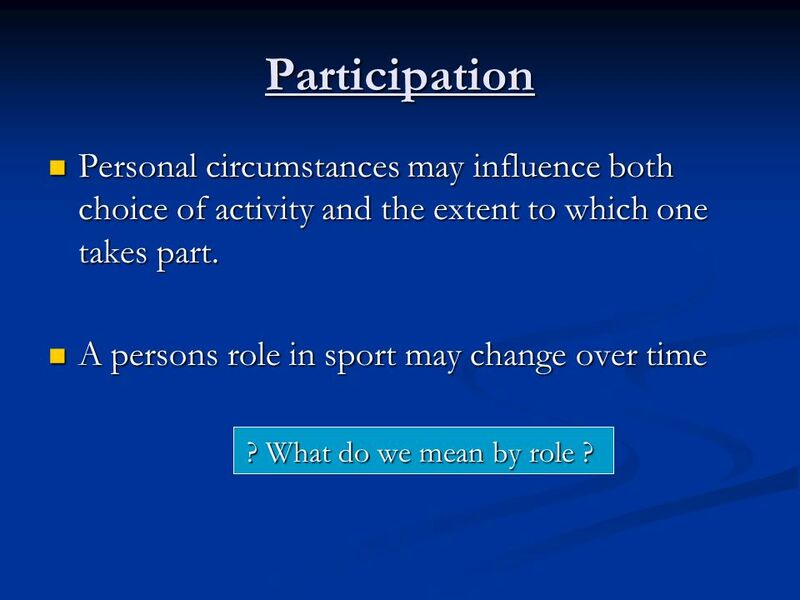 4 Participation Personal circumstances may influence both choice of activity and the extent to which one takes part. 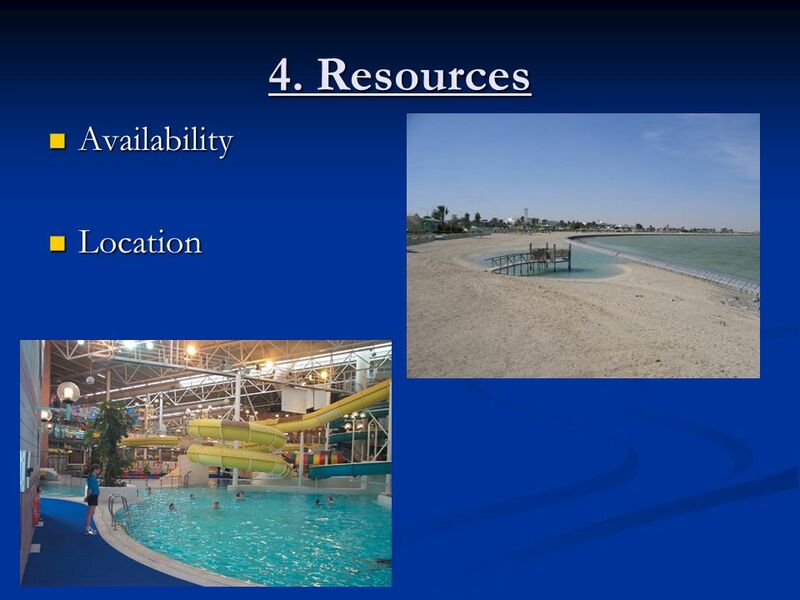 Personal circumstances may influence both choice of activity and the extent to which one takes part. 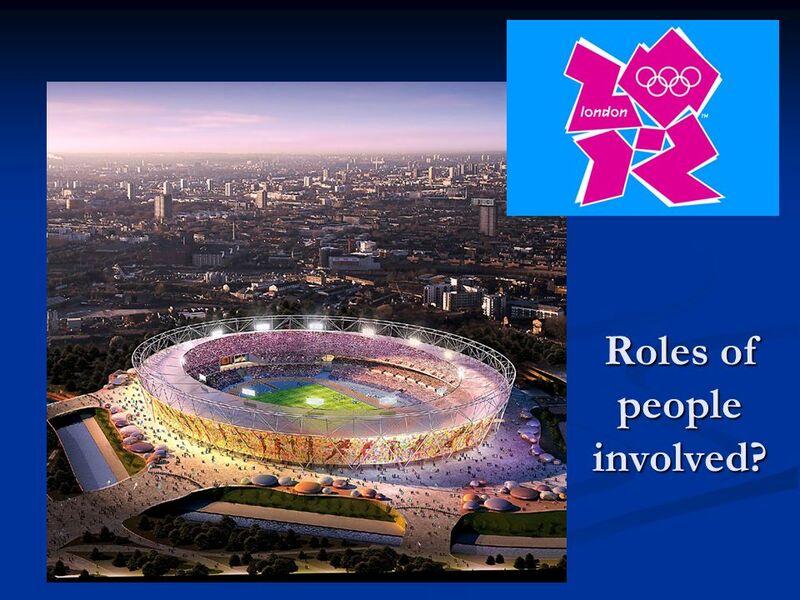 A persons role in sport may change over time A persons role in sport may change over time ? What do we mean by role ? 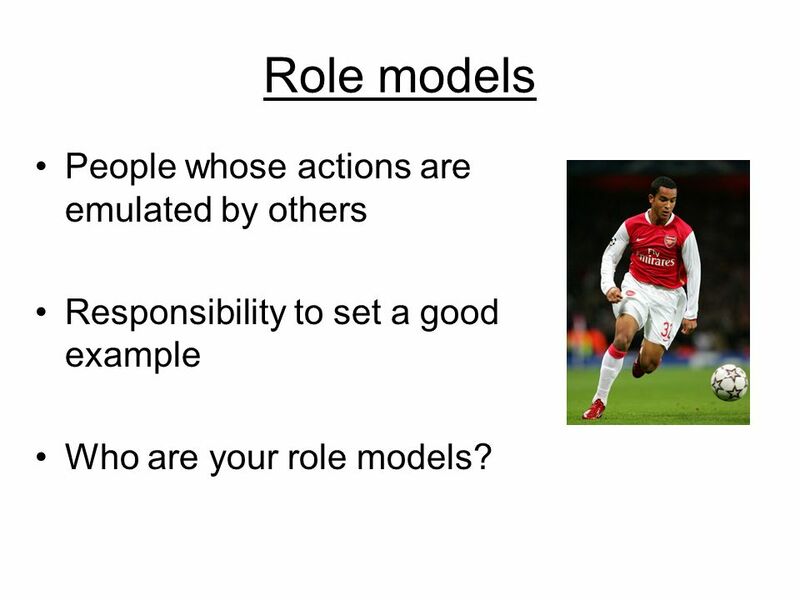 8 Role models People whose actions are emulated by others Responsibility to set a good example Who are your role models? 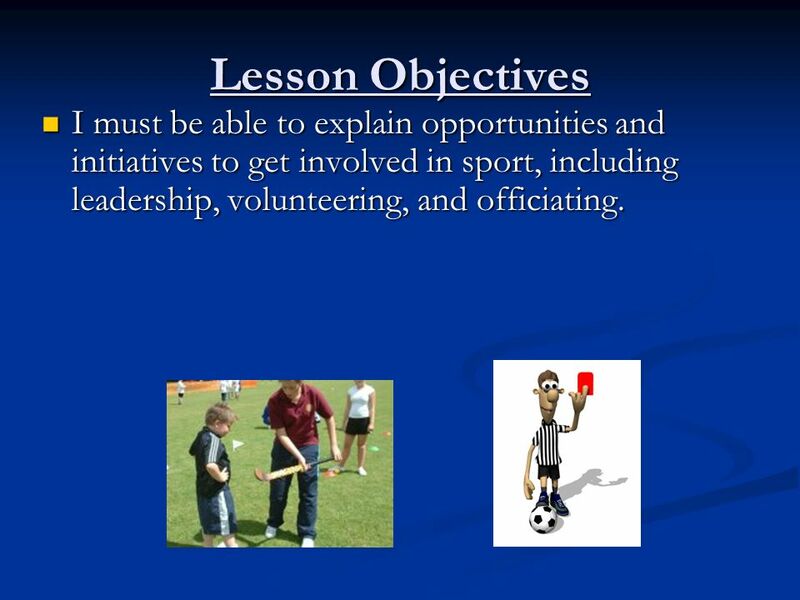 17 Lesson Objectives I must be able to explain opportunities and initiatives to get involved in sport, including leadership, volunteering, and officiating. 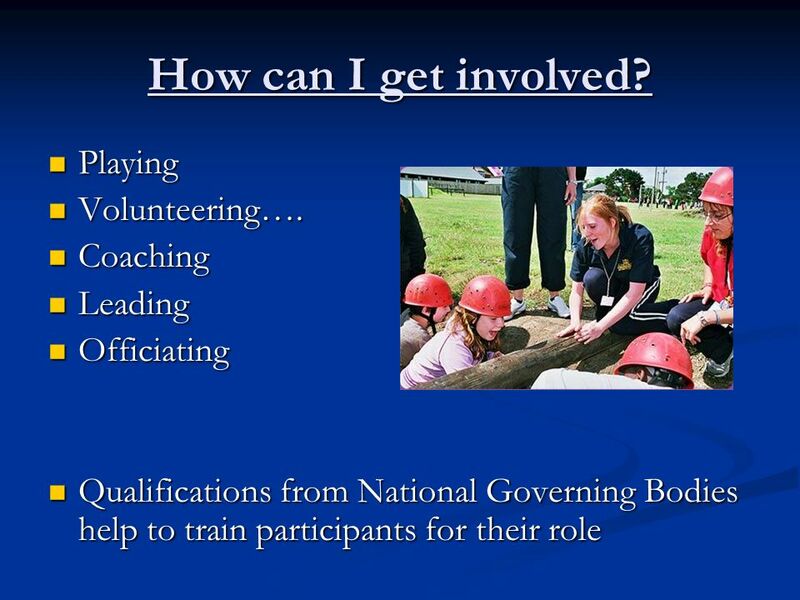 I must be able to explain opportunities and initiatives to get involved in sport, including leadership, volunteering, and officiating. 18 Roles of people involved? 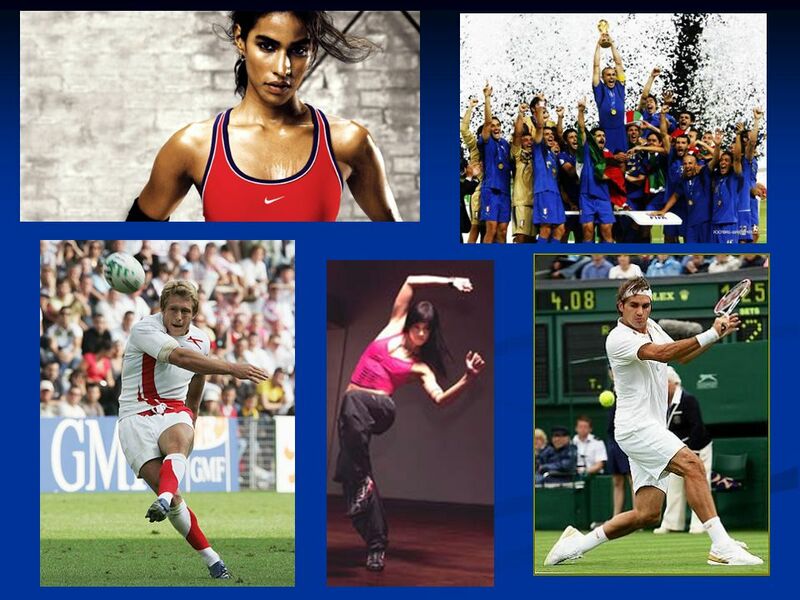 19 Roles in Sport What roles can a person fulfil in sport? 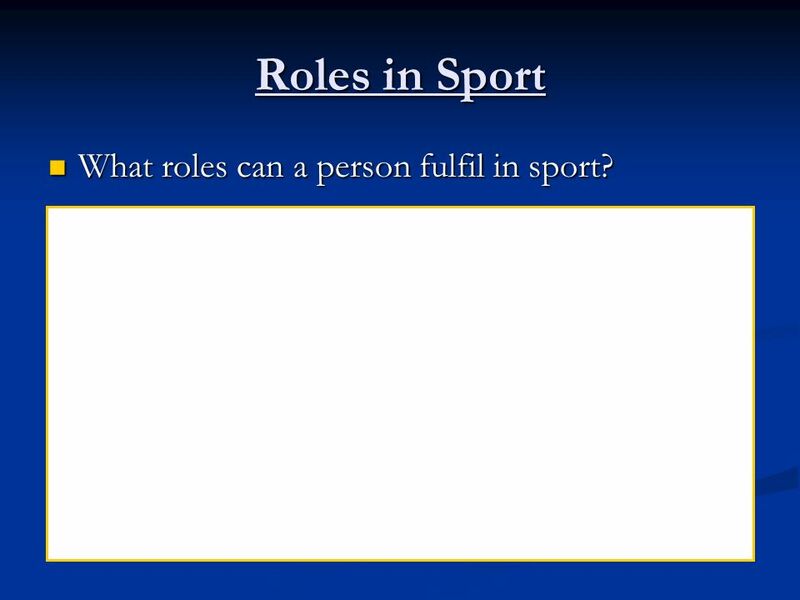 What roles can a person fulfil in sport? 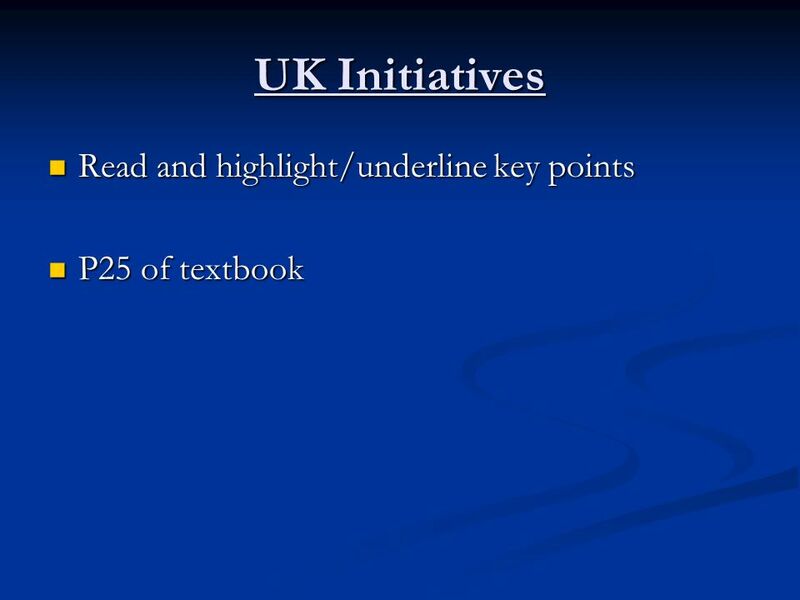 21 UK Initiatives Research the following initiatives in the UK using the WWW. 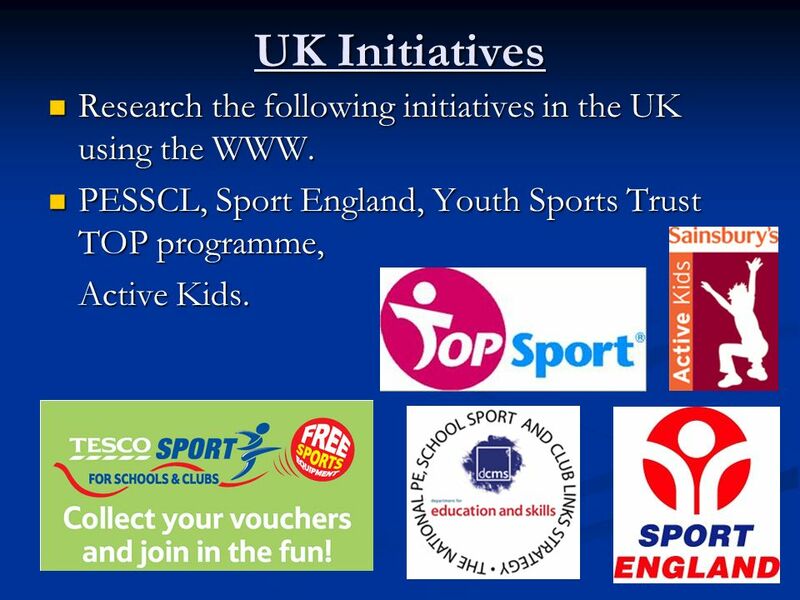 Research the following initiatives in the UK using the WWW. PESSCL, Sport England, Youth Sports Trust TOP programme, PESSCL, Sport England, Youth Sports Trust TOP programme, Active Kids. 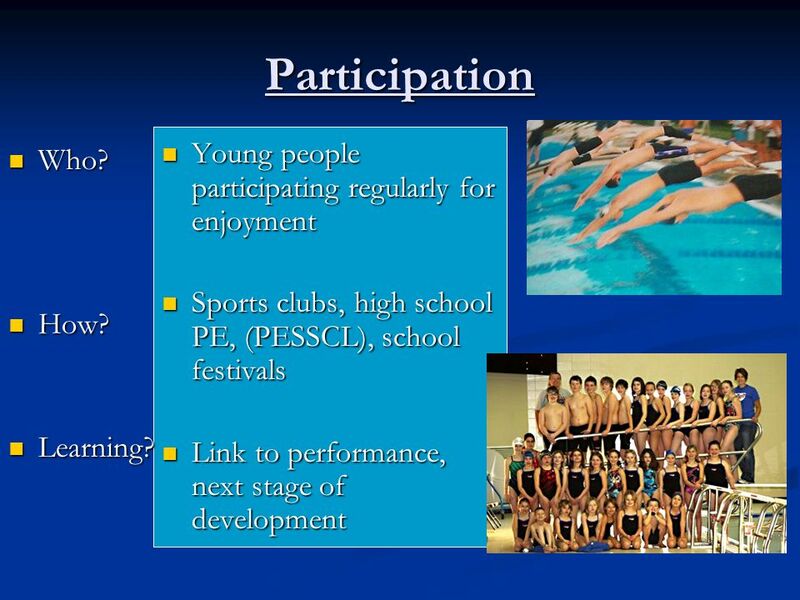 26 Participation Young people participating regularly for enjoyment Sports clubs, high school PE, (PESSCL), school festivals Link to performance, next stage of development Who? Who? How? How? Learning? Learning? 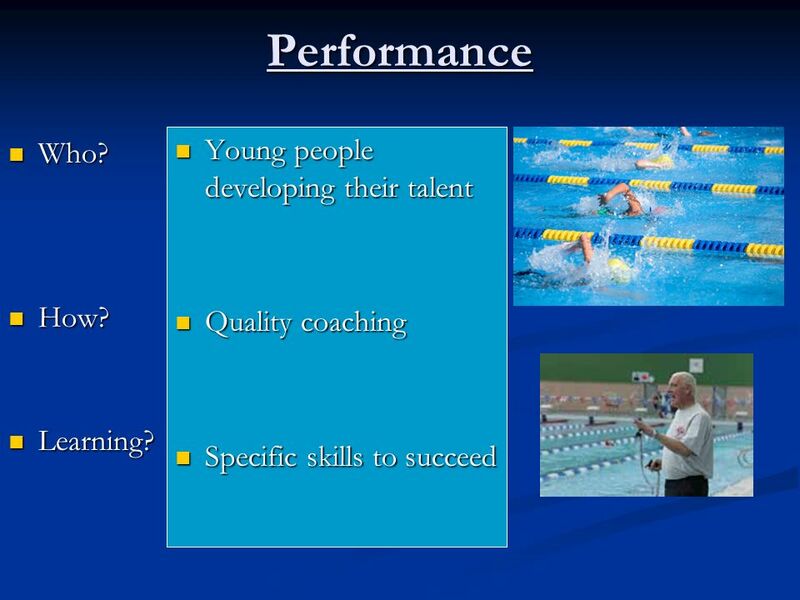 27 Performance Young people developing their talent Quality coaching Specific skills to succeed Who? Who? How? How? Learning? Learning? 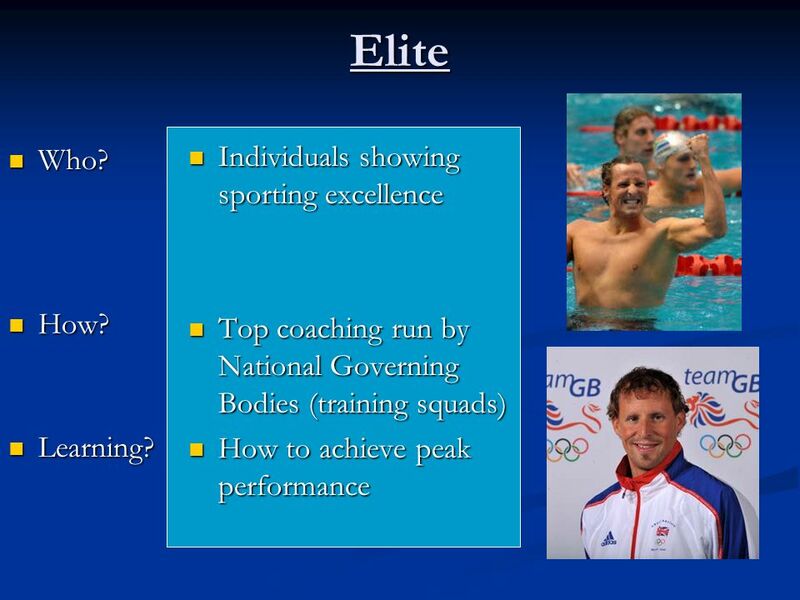 28 Elite Individuals showing sporting excellence Top coaching run by National Governing Bodies (training squads) How to achieve peak performance Who? Who? How? How? Learning? Learning? 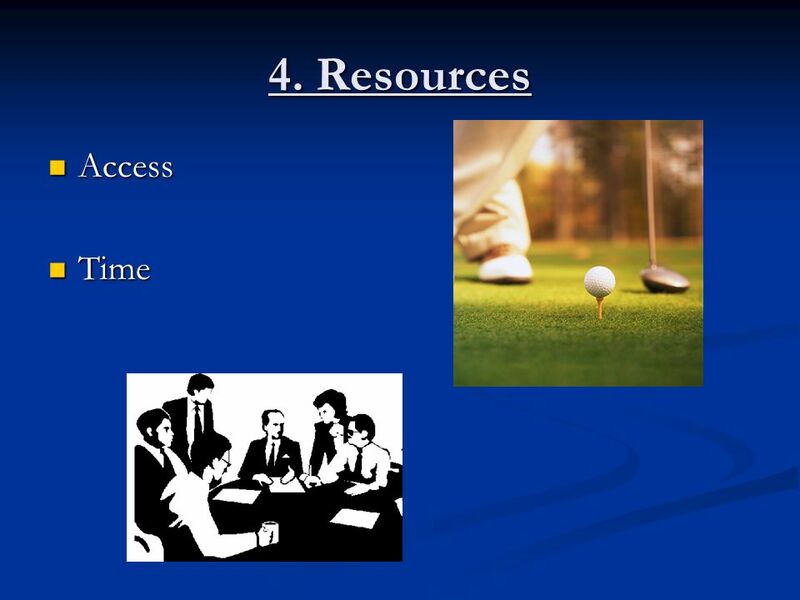 Download ppt "1.1.2 – Influences on taking part. 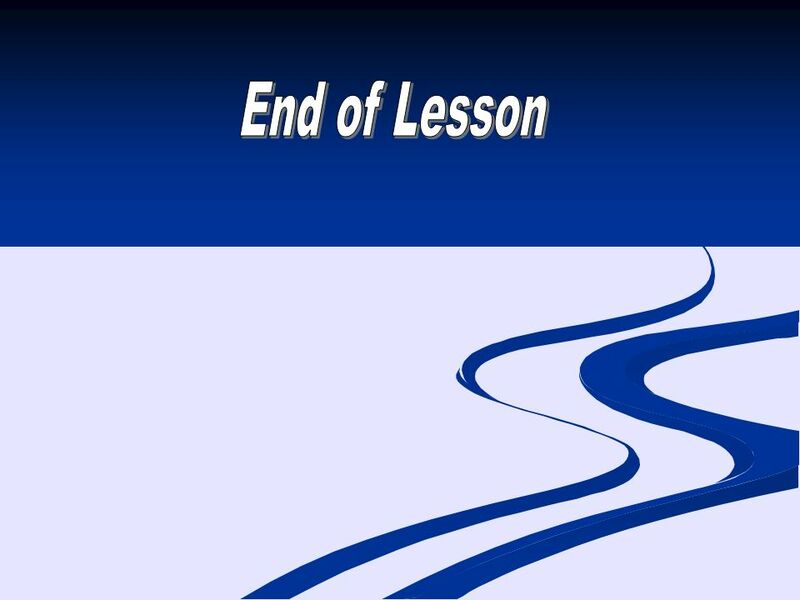 Lesson Objectives I must be able to identify the main factors that affect involvement in sport I must be able to identify." 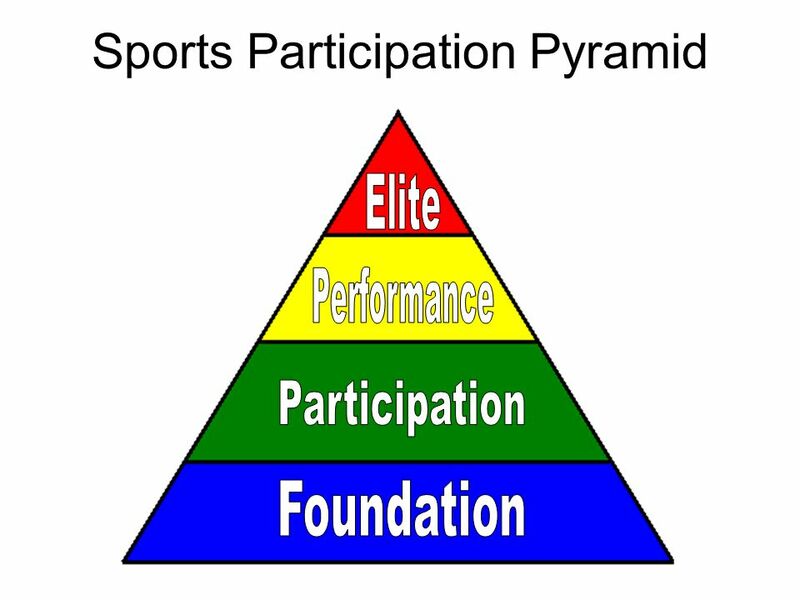 Sporting Organisations in the UK Funding Mass Participation – Sporting Excellence Yr 12 AS Sport Studies. 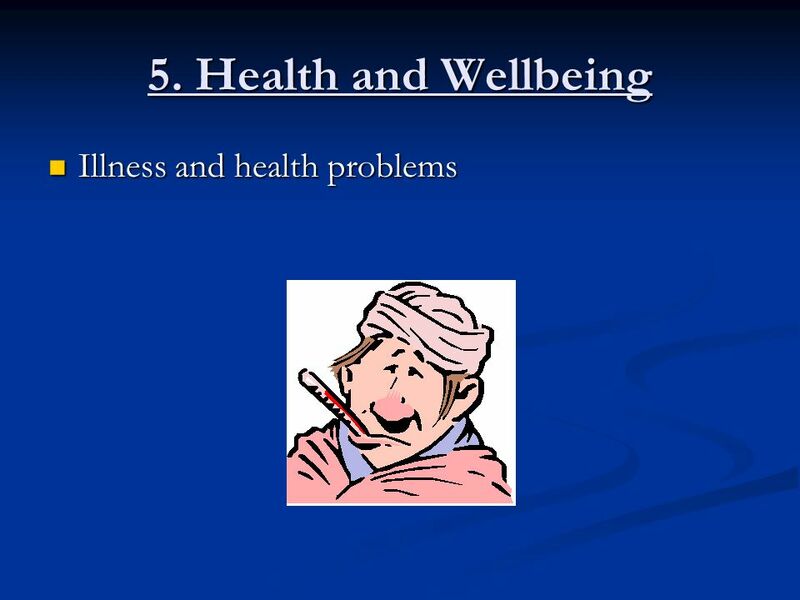 GCSE PE Topic Exercise and fitness as part of your healthy, active lifestyle – Opportunities, pathways and initiatives for involvement in physical. 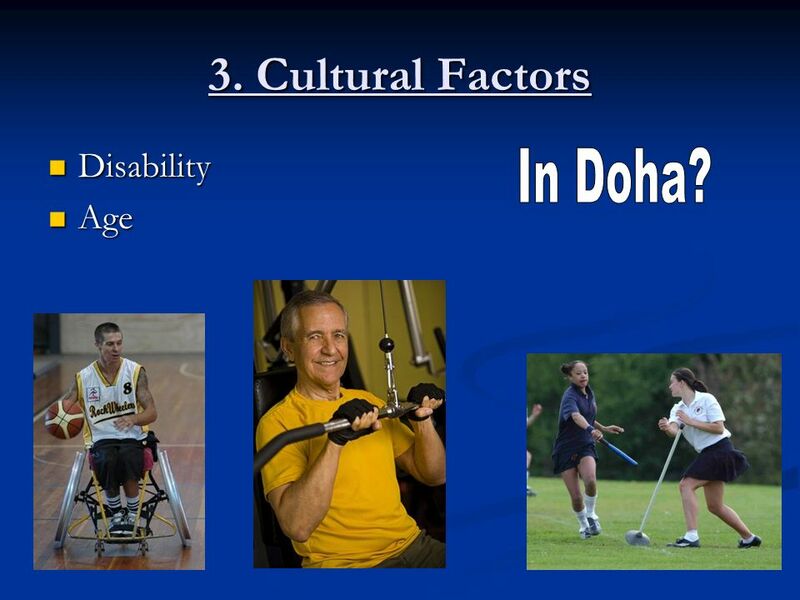 1.1.2a – Key influences that impact on sustained involvement in physical activity Learning objectives -To understand the influences on choice of physical. Mel Berry Principal – Soar Valley College students aged Multi-ethnic, multi faith school moved in to a new building as a part of the. 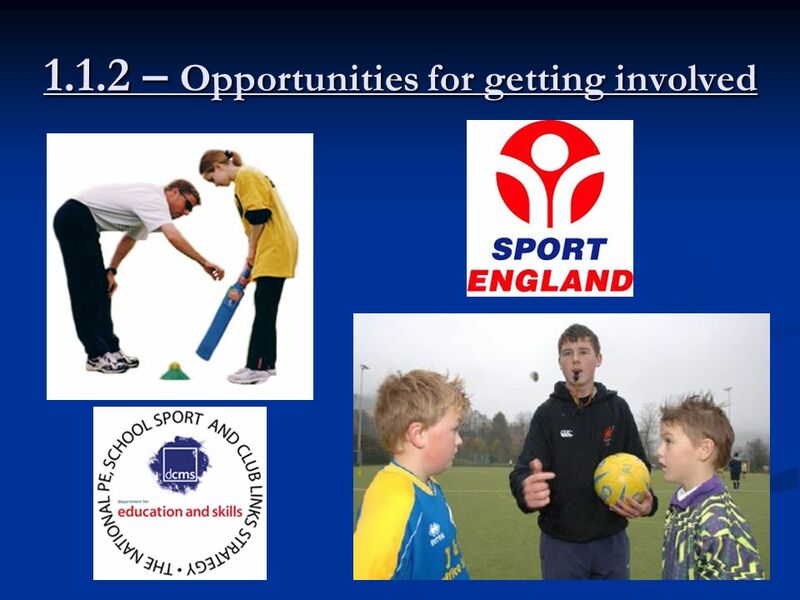 Topic : Opportunities for getting involved in sport. 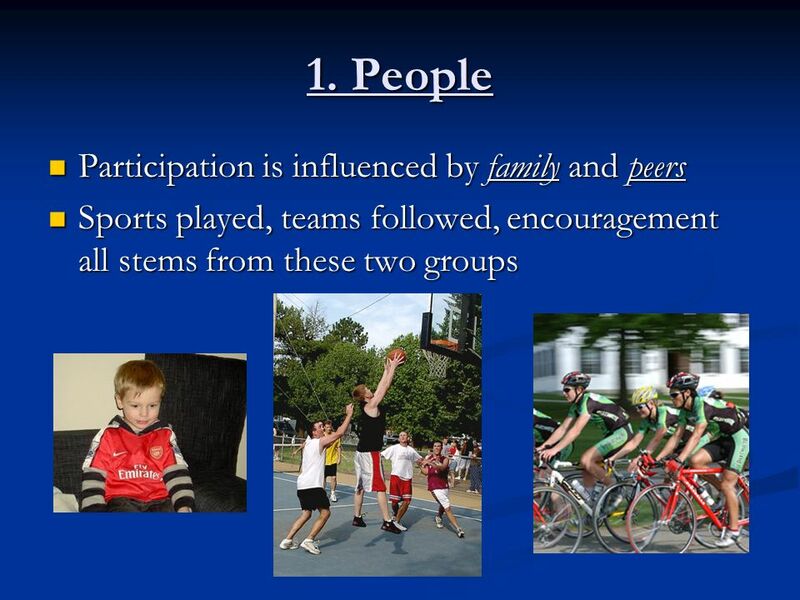 SCHOOL INFLUENCES ON PARTICIPATION. School PE has had a major influence on the nature of physical activities and sport that we are familiar with today. 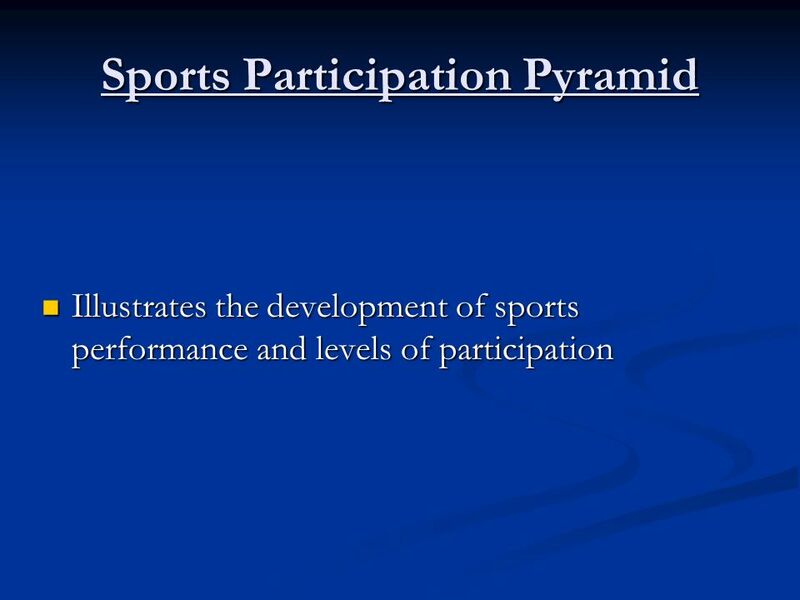 Sports Participation In your books on a new page draw a 2d pyramid that covers the whole page. Split the pyramid into 4 equal sections. Complete the pyramid. 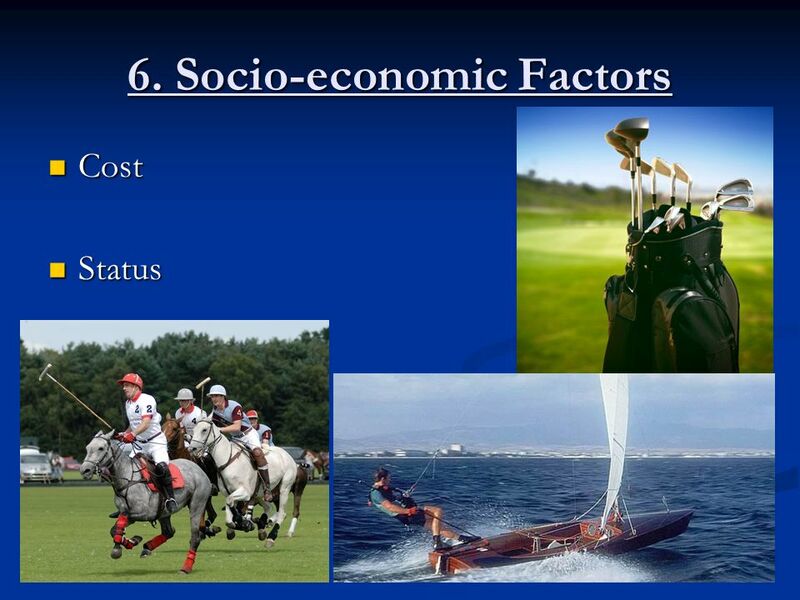 Chapter 13 Social Class and Sport. Initiatives Learning objectives: Describe the common purposes of initiatives developed to provide opportunities for becoming, or remaining, involved. 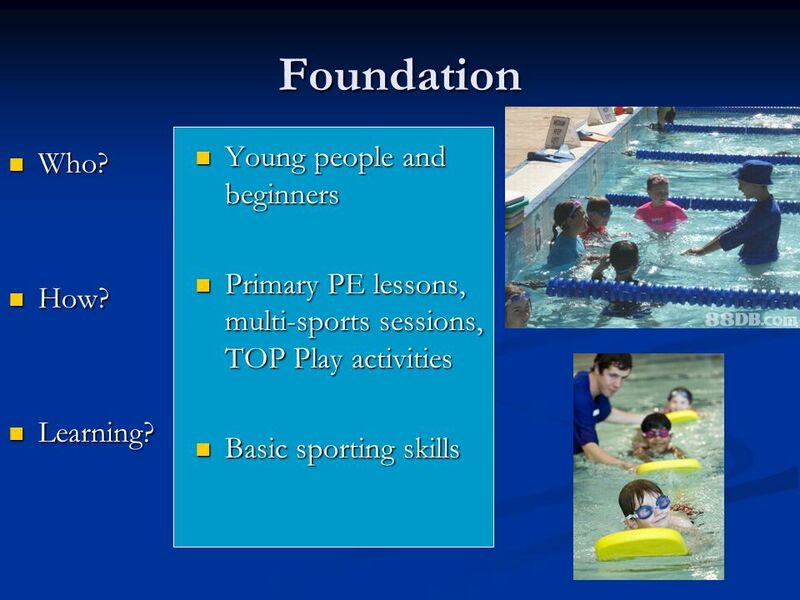 School and Physical Education Aims: Understand why PE is taught in schools Be aware of the PESSCL and PESSYP strategies and the impact their implementation. Using the School Games to Drive Local Educational Outcomes. 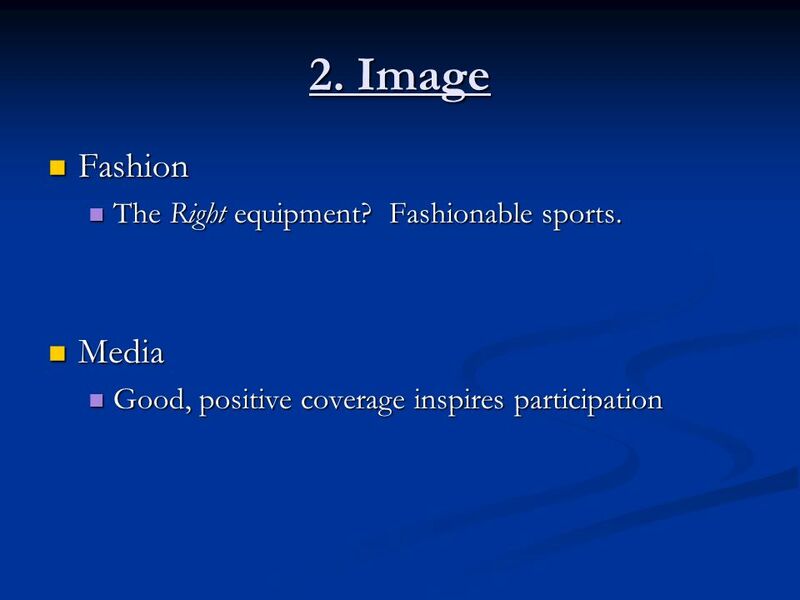 Lifelong involvement in Sports Concepts of Lifetime Sports.